This study examines associations among organizational context, staff attributes, perceived importance, and use of best practices among staff in community-based, juvenile justice (JJ) agencies. As part of the National Institute on Drug Abuse’s Juvenile Justice—Translational Research on Interventions for Adolescents in the Legal System (JJ-TRIALS) study, 492 staff from 36 JJ agencies were surveyed about the perceived importance and use of best practices within their organization in five substance use practice domains: screening, assessment, standard referral, active referral, and treatment support. Structural equation models indicated that supervisory encouragement and organizational innovation/flexibility were associated with greater individual adaptability. Adaptability (willingness to try new ideas, use new procedures, adjust quickly to change), was positively correlated with importance ratings. Importance ratings were positively associated with reported use of best practices. Organizational climates that support innovation likely affect use of practices through staff attributes and perceptions of the importance of such services. The authors would like to thank the members of the JJ-TRIALS Cooperative for their dedication to the project and assistance with study protocol implementation. The contributions of members of the Measurement and Data Management—Staff Survey Workgroup were particularly beneficial (in addition to several authors, these individuals include Doris Weiland, Jessica Sales, and Wayne Welsh). We would also like to thank the individuals at each site who invested time and effort on this project and worked collaboratively with research staff to ensure quality data. This study was funded under the JJ-TRIALS cooperative agreement, funded at the National Institute on Drug Abuse (NIDA) by the National Institutes of Health (NIH). The authors gratefully acknowledge the collaborative contributions of NIDA and support from the following grant awards: Chestnut Health Systems (U01DA036221), Columbia University (U01DA036226), Emory University (U01DA036233), Mississippi State University (U01DA036176), Temple University (U01DA036225), Texas Christian University (U01DA036224), and University of Kentucky (U01DA036158). The NIDA Science Officer on this project is Tisha Wiley. The contents of this publication are solely the responsibility of the authors and do not necessarily represent the official views of the NIDA, NIH, or the participating universities or JJ systems. Hockenberry S, Wachter A, Sladky A. Juvenile residential facility census, 2014. Selected findings (Juvenile Justice Statistics National Report Series Bulletin). 2016. Available online at http://www.corrections.com/news/article/44785-juvenile-residential-facility-census-2014-selected-findings. Accessed 14 February 2018. Livsey S. Juvenile delinquency probation caseload, 2009 (Juvenile Offenders and Victims National Report Series). Washington, DC: U.S. Department of Justice, Office of Justice Programs, Office of Juvenile Justice and Delinquency Prevention. 2012. Available online at https://www.ojjdp.gov/pubs/239082.pdf. Accessed 14 February 2018. Friesen MA, White SV, Byers JF. Handoffs: Implications for nurses. In Hughes RG (Ed. ), Patient safety and quality: an evidence-based handbook for nurses (AHRQ Publication No. 08–0043). Rockville, MD: Agency for Healthcare Research and Quality. 2008. Available online at https://www.ncbi.nlm.nih.gov/books/NBK2649/?report=reader#!po=3.12500. Accessed 14 February 2018. Juvenile Justice Geography, Policy, Practice & Statistics. Juvenile justice services. Pittsburgh, PA: National Council of Juvenile and Family Court Judges, National Center for Juvenile Justice. 2017. Available online at http://www.jjgps.org/juvenile-justice-services. Accessed 14 February 2018. Burney Nissen L, Butts JA, Merrigan DM, et al. The Reclaiming Futures Initiative: improving substance abuse intentions for justice-involved youth (A Reclaiming Futures National Program Report). Portland, OR: Portland State University, Reclaiming Futures National Program Office. 2006. Available online at https://www.ncjrs.gov/App/Publications/abstract.aspx?ID=254234. Accessed 14 February 2018. Lipsey MW, Howell JC, Kelly MR, et al. 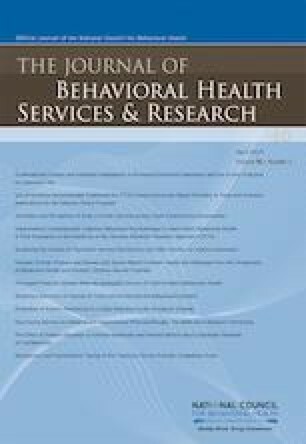 Improving the effectiveness of juvenile justice programs: A new perspective on evidence-based practice. Washington, DC: Georgetown University, Center for Juvenile Justice Reform, Georgetown Public Policy Institute. 2010. Available online at http://njjn.org/uploads/digital-library/CJJR_Lipsey_Improving-Effectiveness-of-Juvenile-Justice_2010.pdf. Accessed 14 February 2018. Seigle E, Walsh N, Weber J. Core principles for reducing recidivism and improving other outcomes for youth in the Juvenile Justice System. New York: Council of State Governments Justice Center. 2014. Available online at https://csgjusticecenter.org/wp-content/uploads/2014/07/Core-Principles-for-Reducing-Recidivism-and-Improving-Other-Outcomes-for-Youth-in-the-Juvenile-Justice-System.pdf. Accessed 14 February 2018. Finn P, Kuck S. Addressing probation and parole officer stress. 2003. Available online at https://www.ncjrs.gov/pdffiles1/nij/205620.pdf. Accessed 14 February 2018. Substance Abuse and Mental Health Services Administration. A guide to Evidence-Based Practices (EBP). 2016. Available online at http://www.samhsa.gov/ebp-web-guide. Accessed 14 February 2018. Burns C, Barton K, Kerby S. The state of diversity in today’s workforce: as our nation becomes more diverse so too does our workforce. Center for American Progress. 2012. Available online at https://www.americanprogress.org/issues/economy/reports/2012/07/12/11938/the-state-of-diversity-in-todays-workforce/. Accessed 14 February 2018. Akers R, Begich T, Cameron H, et al. Moving toward equal ground: Engaging the capacity of youth, families, and communities to improve treatment services and outcomes in the Juvenile Justice System (A Reclaiming Futures National Fellowship Report). Portland, OR: Reclaiming Futures National Program Office, Portland State University. 2007. Available online at https://www.reclaimingfutures.org/sites/default/files/documents/RFreport_MovingToward07.pdf. Accessed 14 February 2018. Aarons GA, Ehrhart MG, Farahnak LR, et al. Leadership and organizational change for implementation (LOCI): a randomized mixed method pilot study of a leadership and organization development intervention for evidence-based practice implementation. Implementation Science, 2015; 10:11. Available online at http://implementationscience.biomedcentral.com/articles/10.1186/s13012-014-0192-y. Accessed 14 February 2018.